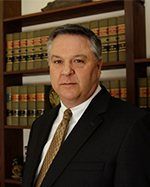 Todd Murrah - Glassman, Wyatt, Tuttle, and Cox, P. C.
Derek Eugene Stephens, Individually and on Behalf of the Wrongful Death Beneficiaries of the Deceased Joe Neil Stephens, et al v. Transport Corporation of America, Inc., United States District Court for the Northern District of Mississippi, Cause No. 2:99CV69, obtained a jury verdict for a trucking company in wrongful death action. Ralph McKnight & Son Const., Inc. v. C&I Entertainment, LLC, Circuit Court of Attala County, Mississippi, Cause No. 03-095-C-V-L, obtained a jury verdict in a construction case denying Plaintiff’s claim and awarding Defendant’s counter-claim for damages. Instabook Corporation v. InstantPublisher.com, United States District Court for the Middle District of Florida, Cause No. 6:06-cv-644, obtained an Order of Dismissal via summary judgment for Defendant internet printing company in patent infringement case. Robert and Patricia Smith v. The Trane Company, Circuit Court of McNairy County, Tennessee, Cause No. 4873, obtained a jury verdict for The Trane Company relative to a geothermal HVAC installation. Jason Ferguson a/k/a Jay Ferguson v. Chuck Hutton Chevrolet Company et al, United States District Court for the Northern District of Mississippi, Cause No. 3:01-cv-022, obtained a directed verdict in a jury trial on behalf of Defendant. Rita M. Higginbotham, Individually and as Mother and Personal Representative of Heather Higginbotham, Deceased v. Hill Brothers Construction Company, et al, Circuit Court of Tunica County, Mississippi, Cause No. 2002-0204, obtained an Order of Dismissal via summary judgment for Defendant Hill Brothers Construction Company. Diversified Capital Corporation of Tennessee v. John Guest, USA, et al, Chancery Court of Shelby County, Tennessee, for the Thirtieth Judicial District at Memphis, Cause No. CH-03-1896-2, obtained Order of Dismissal via summary judgment for London-based manufacturer in products liability case. Litigation involving numerous multi-million dollar construction disputes, including large hospital facilities, airports, interstate, light rail, geothermal, municipal power, educational facility, large warehouse, commercial roofing, and general construction projects. Products liability litigation related to industrial lifts, guardrails and component end terminals, industrial wiring, industrial air handling units, industrial petrochemical valve systems, mobile man lifts, pharmaceuticals, and industrial coatings, to name a few. Intellectual property litigation (patents, trademarks, and copyrights) including cases involving movie royalties, movie distribution, internet publication patents, and agricultural chemical patents. Prosecution of hundreds of patents and trademarks before the United States Patent and Trademark Office. Todd is married to Marie Murrah and has two daughters, Mary Ashley and Natalie.